The International Union, Security, Police and Fire Professionals of America (SPFPA)™ is the oldest, largest and fastest growing Security, Police union in the United States Today. 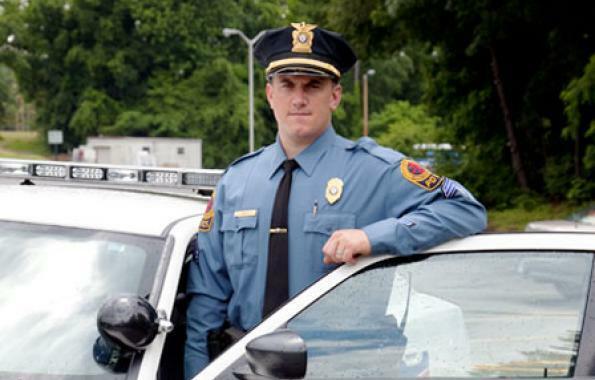 The SPFPA™ represents over 27,000 security police professionals across the U.S. and Canada. SPFPA™ members provide security services for the Department of Defense/NASA, Aerospace, U.S.
Department of Energy, U.S. Federal Courts, Nuclear Facilities, Prisons, Detention Centers, Correctional Facilities, Armored Car, Casinos. Arts and entertainment, Federal, State, and County Buildings, Military Installations, Universities, Hospitals, Public Utilities, Automotive, Airports, Seaports, Homeland Security Facilities, and Industry. The International Headquarters is located in Roseville, Michigan; SPFPA™ also has an east coast and west coast office, as well as 200 Local Unions located throughout the United States. 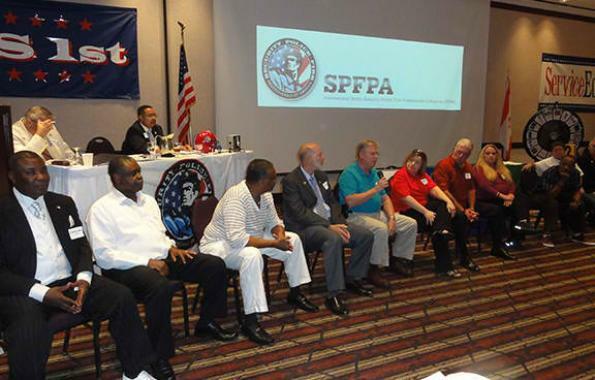 The SPFPA™ staff consists of over 1000 Local Union Officer Representatives, Full-time Regional Vice Presidents, International representatives, and specialized department Directors, who are on hand to negotiate contracts, settle grievances, enforce contracts, organizing the unorganized and assist in answering your questions. The professional and technical staff is available to help members with wage and benefit issues, safety and health issues, and legal issues. The SPFPA™ represents Thousands of Security Police Professionals working for such companies as Wackenhut, Securitas, Akal, Loomis Fargo & Co. Wells Fargo, Boeing, NASA Space Center, Disney, The White Hous, and MGM Casino just to name a few. Basically, the SPFPA™ is an organization of members who have professional staff available to assist them with all work-related issues. After employees vote for SPFPA™ representation and obtain a labor contract, employees will be designated a Local Union. Employees will elect officers and “stewards’ who will be trained and available to assist all employees in any work-related issue.